We're fastly approaching the end of the 2018 Formula One season and it's been quite a season! Unforgettable for so many reasons and we tried to give you the best bits of the season in an A-Z feature... here's part two! Missed A-F? Check it out here! After 12 years of working with Renault, Red Bull made the brave decision to put a period behind their relationship with the French so they could join up with Honda. It's a bold move as Honda have proved to produce unreliable power units at times, but the performance of the Japanese engines has made big leaps since the start of this season, with reports coming out that their engine is now more powerful than Renault's. Will the switch come back to haunt them or elevate them to championship-level? Force India went into administration in July as they hadn't paid their employees in months, and the team emerged from the situation with new (non-Indian) owners, and a new name - Racing Point Force India. The group of investors that took over the team were led by Lawrence Stroll, father of Williams driver Lance. Racing Point Force India were stripped from all of their points as a name change means you start from scratch. In the race where many people gave up on Sebastian Vettel winning the world championship, the German made an error yet again in a race he desperately needed to win. He sent his Ferrari up the inside of Verstappen when there was really no room to operate for Vettel. The two touched and Vettel spun around, breaking his bargeboard in the process. Hamilton won and Vettel ended sixth. If there was a chance of Vettel coming back before Japan, those chances were gone after (realistically). After five years and 113 races of not winning, Kimi Raikkonen emerged on the top step of the podium once again, breaking the record of the longest time between two wins. Starting from P3, the Finn sent his Ferrari down the inside of Hamilton at the very first corner to take the lead, and from then, he never looked back. It will likely prove to be the last win of Kimi's career, as he switches to Sauber at the end of the season for 2019 and 2020. At just 20 years of age and with just a few months of Formula One experience, Ferrari announced that rookie Charles Leclerc would be lining up at Ferrari from 2019 onwards next to Sebastian Vettel, with the Monegasque blowing everyone away with his stellar performances for Sauber. He often finds himself in the points, and always beats his teammate Marcus Ericsson handsomely while doing so. 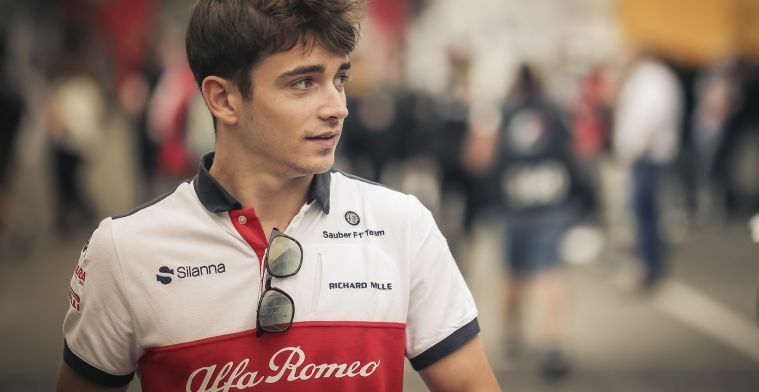 Leclerc looks to be the real deal, a future champion, but Ferrari have taken a big gamble by putting such an inexperienced driver under the brightest lights of them all.